One of the most unusual upper-class traditions during the American Gilded Age and the English Victorian and Edwardian Eras was that of American heiresses marrying into British nobility for money. This fascinated me and led to years of research to write American Duchess. Some famous examples of dollar brides include Winston Churchill’s mother Jennie Jerome; Cora, Lady Grantham in Downton Abbey (yes, I know that one is fiction) and my very real heroine Consuelo Vanderbilt whose social-climbing mother forced her to wed the 9th Duke of Marlborough in 1895 when she was in love with someone else. The Vanderbilts paid a fortune to help renovate the duke’s massive Blenheim Palace in exchange for Consuelo becoming his duchess. At age 18, how would you like to have a starter home of nearly two hundred rooms and be wed to a man you hardly knew? Consuelo’s New York City marriage was dubbed ‘the wedding of the century.’ Perhaps the 60-piece orchestra, 54-voice choir singing O Perfect Love and 4000 guests did make it undisputedly that. Yet Consuelo found ways to live her own life and help others, as well as producing ‘an heir and a spare.’ And, fortunately for this author, who likes to write and read great love stories, she later found and wed (in a small, private but joyous ceremony) the love of her life. Also, Googling Consuelo Vanderbilt or 9th Duchess of Marlborough brings up amazing paintings and photos of this intriguing woman, two which I’ve included here. 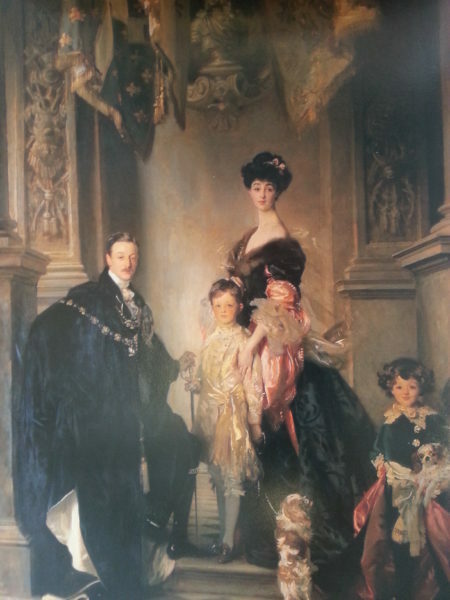 One is of the duke, Consuelo and their sons which hangs at Blenheim. 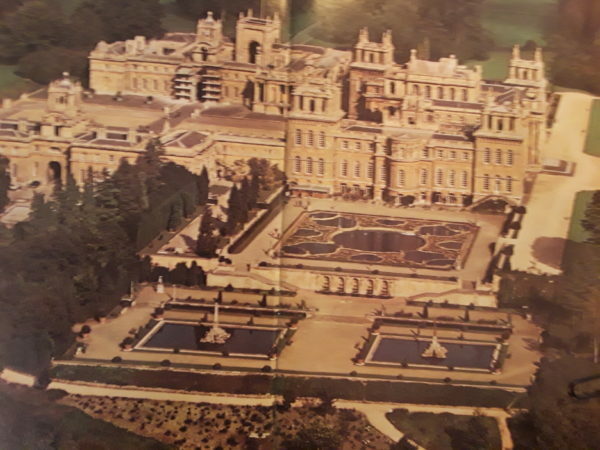 The photo of Blenheim is from the guidebook I bought there. It has the center crease, but it’s the best from the overhead picture I have which shows its size. The year of the wedding, there was an editorial cartoon in Life magazine which depicted Consuelo’s mother holding the rope wrapped around her daughter’s wrists as she knelt at the altar to wed the duke—who was half a head shorter than she. His nickname was Sunny, which hardly fit his personality. But she had enough courage and care to change the feudal way the massive estate was run. American Duchess takes the reader through World War II when Consuelo was living in France with her second husband, a pilot and French war hero. Hitler had Consuelo on his “kidnap for ransom list,” hoping to capture her to get American dollars for the Third Reich, so they had to flee the Nazis. Money can be a blessing and a curse—for Consuelo, it was both. Many are fascinated by our current ‘American Duchess’ Meghan Markle who has a happy British marriage. But Consuelo Vanderbilt Marlborough Balsan was the original ‘postal girl’ for such a cash for class international union. To read more about this dollar bride phenomenon try To Marry An English Lord by Gail MacColl and Carol Mcd. Wallace. Consuelo is on the cover. Please comment for a chance to win one of four autographed copies of American Duchess. Vanderbilt, the original American Duchess. On a cold November day in 1895, a carriage approaches St. Thomas Episcopal Church on New York City’s Fifth Avenue. Massive crowds surge forward, awaiting their glimpse of heiress Consuelo Vanderbilt. Just 18, the beautiful bride has not only arrived late, but in tears, yet her marriage to the aloof Duke of Marlborough proceeds. Bullied into the wedding by her indomitable mother, Alva, Consuelo loves another. But a deal was made, trading some of the vast Vanderbilt wealth for a title and prestige, and Consuelo, bred to obey, realizes she must make the best of things. 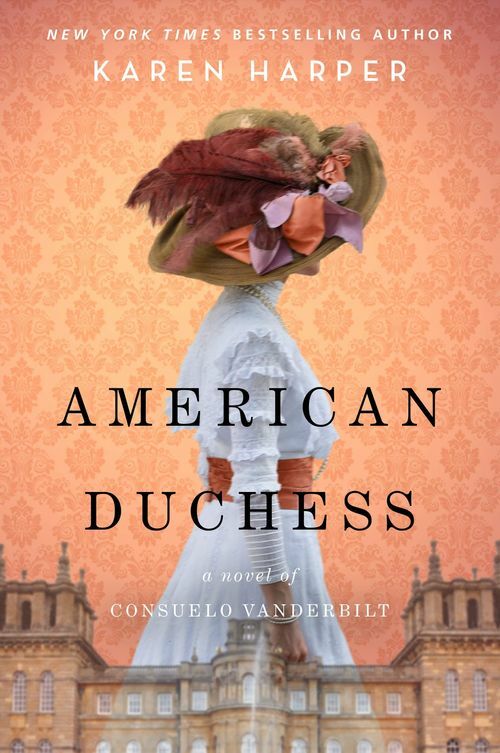 A well-researched look at the vivacious life of Consuelo Vanderbilt. Karen Harper is the New York Times and USA TODAY bestselling author of contemporary suspense and historical novels about real British women. 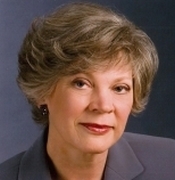 Published since 1982, she is a native Ohioan who has also spent thirty happy winters in Naples, Florida as a snowbird. Her current suspense series is set in Southwest Florida and the Caribbean under the title THE SOUTH SHORES SERIES. A former high school and college level English instructor, Karen and her husband love to travel to places where she sets her novels, especially England. Her early historical fiction focused on the Tudor era, and her recent historicals examine the lives of amazing women, both lower and upper class, who lived in the Victorian and Edwardian periods. (Think Downton Abbey.) Her latest historicals are THE ROYAL NANNY and coming in October of 2017, THE IT GIRLS. Karen has three grown stepchildren and one grandson. She and her husband grow roses and veggies ousidet her office windows, which can be a bit of a distraction in the warm months in Ohio when she should be looking at her laptop screen. Her 96-year-old mother lives nearby, so Karen’s hoping for good genes to keep writing far into the future.